William J. Antoniewicz grew up at New Bedford, Massachusetts. Two weeks from his 27th birthday, William accepted an appointment to the Utah Highway Patrol on July 16, 1974. He was assigned to the Port of Entry station at Echo on the Utah-Wyoming border. He drove a marked patrol car from Coalville to the Port of Entry, a distance of 40 miles. 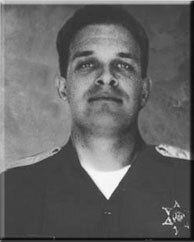 On December 8, 1974, Trooper Antoniewicz stopped a speeding vehicle 9 miles east of Echo Junction on I-80. On approach to the vehicle the driver fired two rounds from a .38 caliber revolver, striking Antoniewicz in the left chest and back. The Trooper was then kicked several times in the face. Eighteen months later, a suspect was arrested. The first trial resulted in a hung jury. Rather than face a second trial, the suspect pled guilty to a reduced charge of second degree murder.